Customers who buy a dozen Original Glazed® doughnuts at regular menu price will get another dozen Original Glazed doughnuts absolutely free at participating U.S. shops on April 28. 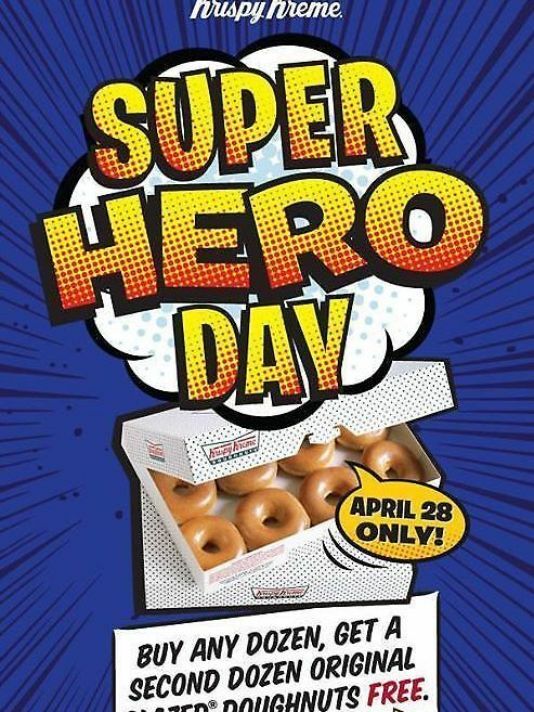 It’s a sweet way to celebrate the Super Heroes in your life! Costumes are not required, just super encouraged. Share your super hero moment with your sidekicks using #KrispyKreme. Not valid with any other coupon or offer. Valid only at participating U.S. shops. Next post Graduates Eat Free! We found 2 places for a family celebration!